Mini Farm Animal Unit | My Attempts at Being Creative! A few years ago we as a kindergarten team we completed a whole non-fiction unit on farm animals. Fast forward a 2 years and we are using Lucy, so our writing looks quite a bit different than it used to. 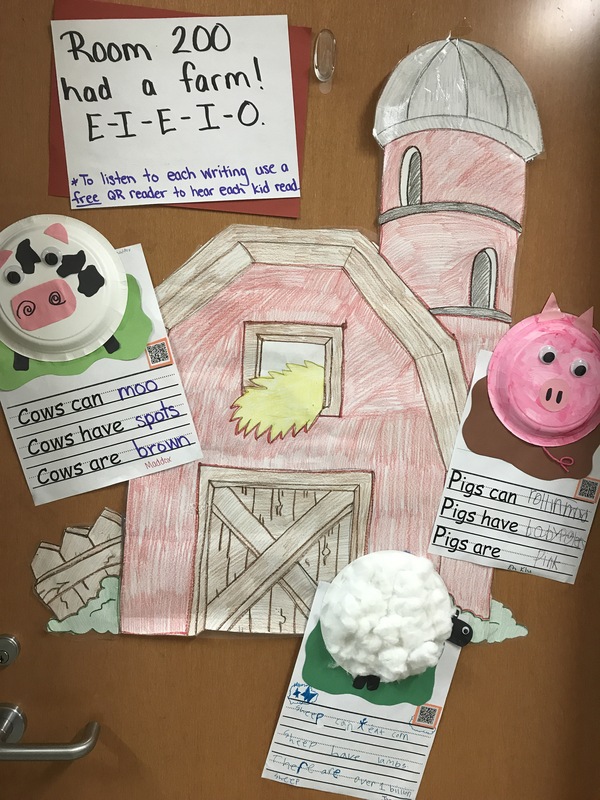 We did still talk about farm animals but it was mostly about teaching schema and adding to the file folders in our brain. For my small groups I decided to keep going with the farm animals. We started it off with a little poem called Old McDonald. I know, it’s not a nonfiction text, but the kids love it and it got them thinking about different farm animals. Next, I had each group (except one of the groups due to time constraints) choose a different farm animal to learn about. I then created little non-fiction all about books in a way that the students’ would be able to fill out our can/have/are chart on each animal. To create the anchor chart I cut up sentence strips and used sticky tack to attach them to the poster. This helped when we got to the independent writing stage so the students could just grab their idea off of the chart and use it as a modeled text. Each student had to write three sentences: what _____ can do, what _______ have and what ______ are. After they wrote their sentences I had them practice reading it out loud and then I recorded them individually reading their writing. I turned these recordings into QR codes for each child and attached it to their writing page so that way people can read their writing and also hear the student reading their own writing. We then made paper plate animals to put on the top half of their writing page and I hung them out in the hall for everyone to see.